Prabhas Moghe is jointly appointed as Professor of Biomedical Engineering and Professor of Chemical and Biochemical Engineering at Rutgers University in New Jersey. Dr. Moghe received B.S. in Chemical Engineering from the University of Bombay (UDCT) in 1988, Ph.D. in Chemical Engineering (Specialty: Bioengineering) from the University of Minnesota in 1993, and trained on a postdoctoral fellowship in Bioengineering at Harvard Medical School from 1993 to 1995. 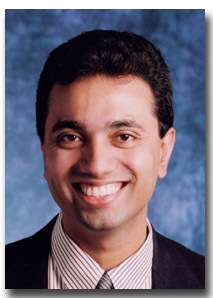 Dr. Moghe joined the Rutgers faculty in 1995. This page was last edited on 4 October 2010, at 20:12.